That's it for today sports fans, thanks for stopping by, do stop again!! I like your goals for 2016, and agree that keeping it simple makes it totally doable....and I can't wait to watch your progress...which is gorgeous, I might add. Wow! 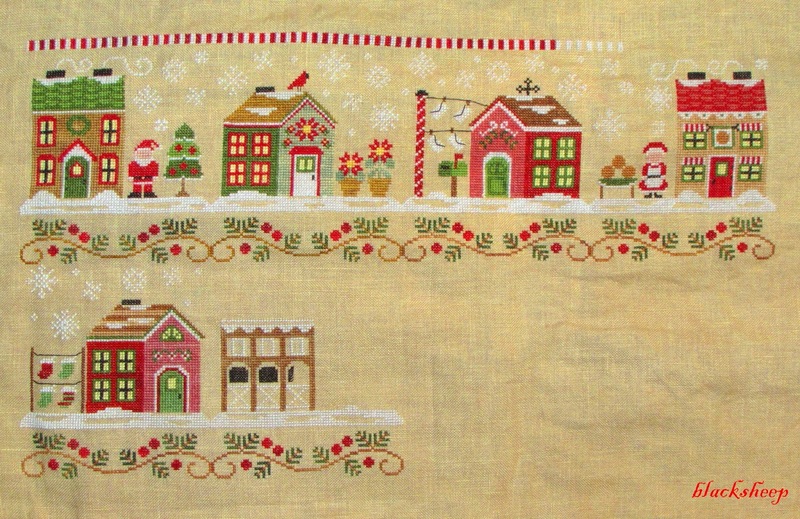 Your Santa's Village looks great and makes me want to dust off mine and get it going again! Both beautiful pieces - will be lovely to watch them grow in 2016. Happy New Year to you. happy new year. both are pretty and so much doNE already. Both doable with your nimble fingers! Happy New Year to you and Rico! Love both your New Years projects goals. 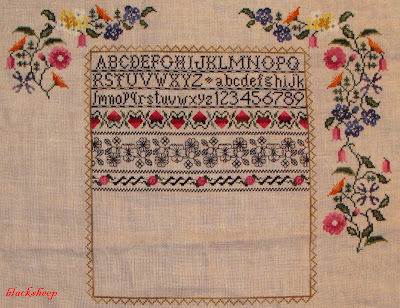 I have been stitching Sojourner as well and thats one of my projects I want to complete also. Beautiful WIPs and you should easily be able to finish them off this year! I love seeing your stitching Edgar. I just started on Easter by Cross Eyed Cricket. I am enjoying the pastel colors and I am working on a piece of seafoam linen. Thankful for my magnifier and q snaps. I would say they are great goals! You stitch so quickly that I am sure you will finish both of those in the next 12 months. They are both so pretty. Lovely stitching! I think your goals are completely doable. Best of luck. looked??? If you have any photos of it, let's see it!! Looking great Edgar - I've had Santa's Village kitted up for 2 yrs now and finally going to start it this month. Glad I'm not the only one lagging behind getting it done LOL. I'm trying to make realistic goals this year and just keep working on my UFO's and other items from my stash. I finally reached the point where new stash isn't calling out to me much anymore so I'm happy to stitch what I already have. Nice to see my Santa`s Village is not the only one as work in progress. 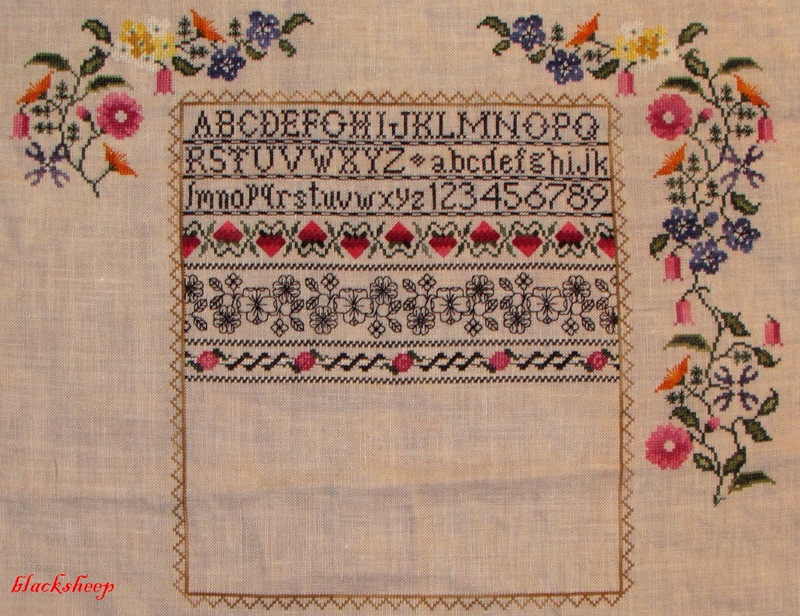 I was wondering what the name and designer is of the pattern for your stitching in your over head `O gentle words & peaceful ways`. Happy Stitching. Have a great crafty bakey 2016!! Going to be fun watching these two come to life. Lovely progress on both pieces Edgar!! Those are both such pretty projects. I love the colors. Both are lovely and also so different from one another. Should be fun stitching!